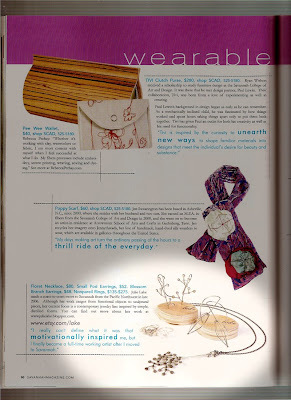 ...... for featuring my work in the All Things Handmade article of the July issue. Congrats!! That is such an accomplishment! I just found your blog and stunning jewelry on etsy. So glad I did - I am in love with those pantalon earrings:) I am impressed!